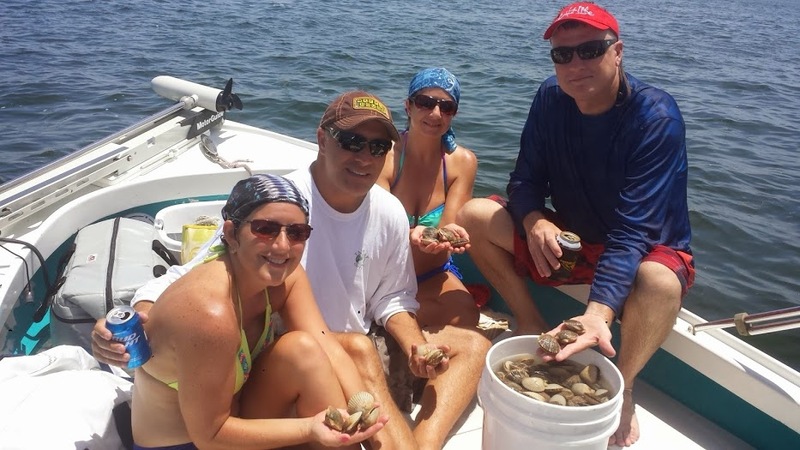 With scallop season opening early this year and the first reports for scalloping coming in for 2014. It’s looking pretty good in the Homosassa and Crystal River area. The scallops are about the same size as last year with the most of them are just out from the Homosassa River and up to the north in that 3 to 6 foot of water depending on the tide. The first limit of Scallops that came over the side of the boat Saturday morning. The scallops are scattered around but we found them and are on them. Go to www.homoassascallopingcharters.com or go to are Facebook page and check out are updates throughout the season for your scalloping needs.